To coincide with Blue Monday, pinpointed to be the glummest day of the year, The Mall Luton will be hosting their third Community Mental Wellbeing Day. Taking place on Blue Monday (21st January) in Central Square, the Community Mental Wellbeing Day will run in conjunction with The Mall’s current charity of the year – The OLLIE Foundation. To provide support to the local community, volunteers from The OLLIE Foundation will be on hand to discuss any issues regarding mental health and suicide. Mental health difficulties are not often spoken about and people can feel isolated, something that the three founders of The OLLIE Foundation understand, following the loss of their sons to suicide. The Mall has also created an area for shoppers to talk in privacy and additional literature is available for shoppers. 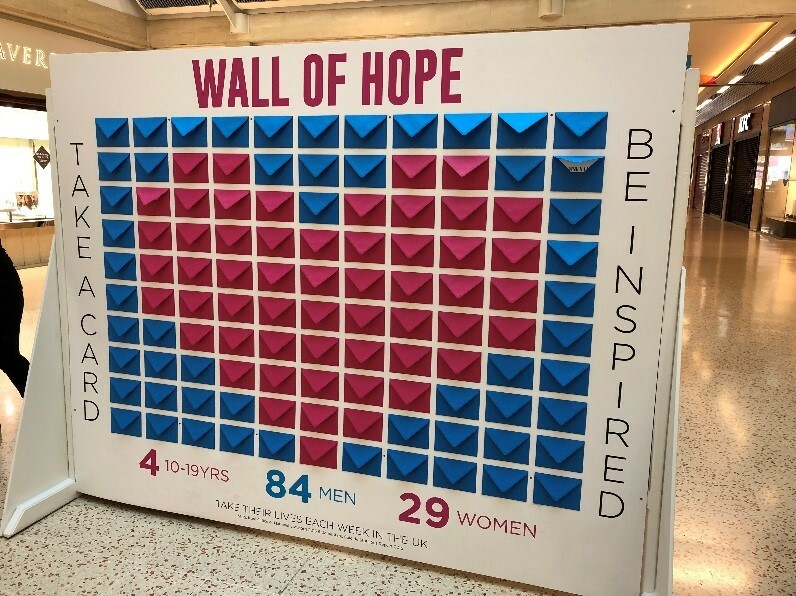 Alongside offering help and support to shoppers, The Mall will also be welcoming back their ‘Wall of Hope’, which includes a number of positive affirmations for visitors to the centre to take away with them, as well as signposting for further help.